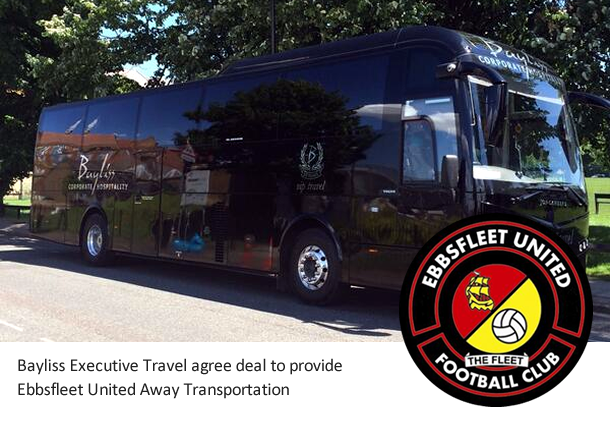 Ebbsfleet United will hit the road in style after agreeing an initial one-year deal with Bayliss Executive Travel to provide away transportation for the club. And not only will the Deal-based firm be responsible for all first-team executive away travel but the agreement also includes transportation for our youth academy scholars between Stonebridge Road and the Cobdown training complex. Excerpt taken from Ebbsfleet United news story, dated 11th July 2014, read the full story on the link below.